US-based Data Center provider Colocation Northwest and Maincubes – a European Data Center operator, have just announced their trans-atlantic colocation partnership which aims to complement each other’s data center footprints on both sides of the Atlantic. Colocation Northwest is a division of IsoFusion and one of the largest privately held ISPs as well as colocation providers in Seattle, Washington. The company boasts of eight colocation data centers in the Pacific Northwest of the United States whose facilities cut across South Hill Seattle, Downtown Seattle, Tacoma, Bellevue and Redmond. On the other hand is Maincubes which is a part of German construction conglomerate Zech Group. The European data center operator is rapidly expanding its number of colocation data centers in the European market. Maincubes’ current facilities are located in Frankfurt, Germany and Amsterdam Schiphol-Rijk, the Netherlands. The partnership between Colocation Northwest and Maincubes is based on mutual interest, as the agreement clarifies that both parties will be able to make use of each other’s sales power and technical expertise while maintaining full independency. This points to grabbing the attention of business prospects that seek to have a combined U.S. and European data center coverage. “As one the largest private data center operators and colocation providers in Washington State, many businesses depend on Colocation Northwest to accommodate their mission-critical IT infrastructure deployments including private, hybrid and multi-cloud environments,” added Steve Milton, CEO, Colocation Northwest. “It’s a unique collaboration, with full respect for each other’s independent positions in our own home markets on both sides of the pond,” said Joris te Lintelo, Director, Maincubes. “Although our companies will stay fully independent, we share a vision with Steve and his team. Our German-engineered, uptime-focused approach towards data center development is actually quite similar to Colocation Northwest’s go-to-market strategy. 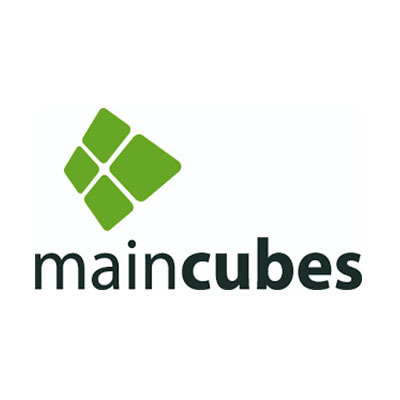 German-engineered to us means that Maincubes doesn’t take any risks whatsoever when it comes to the data center architectures and the technologies we deploy,” he added. Colocation Northwest and Maincubes are already offering retail, as well as wholesale colocation services to their customers. While maincubes’ recently completed data center in Amsterdam has two enterprise suites available with a capacity of 1.7MW and 1.3MW respectively, Colocation Northwest on the other hand, offers entire data centers to their customers in the Pacific Northwest.